Whenever you need to hire an automotive locksmith, you need to check the range of services to be assured that you would get the necessary solution. Not every locksmith will specialize in all automotive locksmith services, either the brand or the model of your car, the exact problem with your keys or the nature of the service. Some locksmiths wouldn’t have emergency services, some locksmiths will need to tow your car while some would require a lot of time to fix problem if they don’t have the expertise. 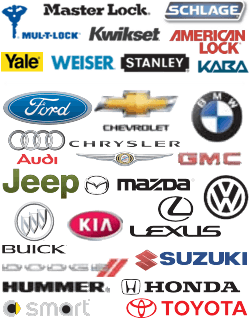 We offer a plethora of automotive locksmith services that should attend to your pressing problem. We cut and program keys for all cars. It doesn’t matter which brand or make your car is, which year it was manufactured and if you have modified the locking system or it is exactly the same as it was in factory condition, whether the lock is damaged or you have simply misplaced the keys. We can attend to all such challenges and fix the problem on the spot. We offer 24/7 emergency services. You can of course schedule our automotive locksmith services but even if you need an emergency response or roadside assistance then we can drive out with all our tools and fix the problem onsite. We don’t tow your car and we don’t need hours to get the problem fixed onsite.